Mainframe computers not only run traditional enterprise applications for airlines, finance and other industries, they also thrive on running today’s groundbreaking applications and open workloads in trusted environments. And as we continue to reinvent the mainframe for business-critical analytics, blockchain and other disruptive technologies, they are opening up even more exciting job opportunities in many industries worldwide. Moreover, IBM Z enterprise systems are enticing many talented high school and college students to develop the critical skills that are in high demand by large enterprises invested in AI, cloud computing, real-time analytics and high-volume transactional workloads for the mainframe. This has opened up opportunities for highly skilled employees ready to innovate in the advanced environment of IBM Z. 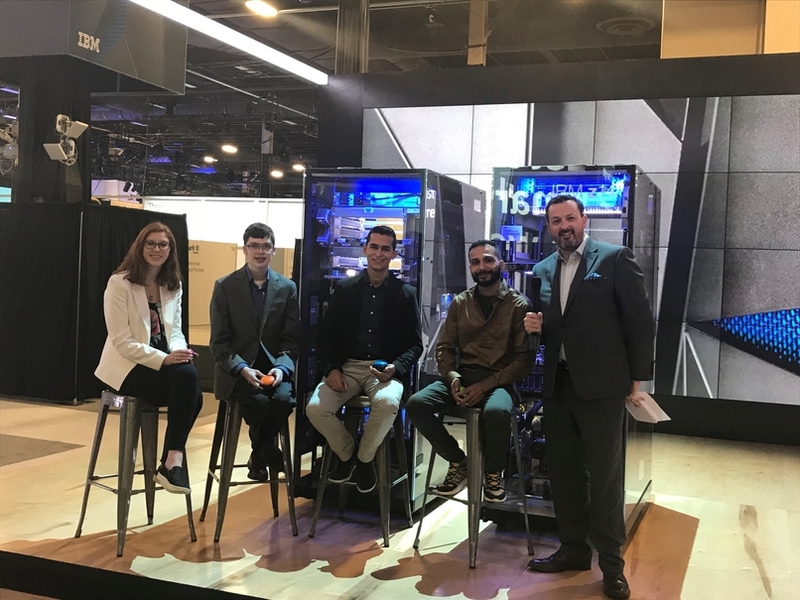 As new programming languages and software for IBM Z emerge, one innovative pathway to developing these skills is the annual IBM-sponsored Master the Mainframe competition, which had record global participation in 2017. The contest adapts to these changes and offers a concise roadmap to rapid success and validation. Students who compete in the three-part Master the Mainframe program do not need to have any previous mainframe or coding experience. Part 1 offers the basic concepts; students get familiar with IBM Z and data structures. Part 2 provides practice in advanced programming, application development and operating system challenges. Part 3 tasks students with real-world system programming experiences based on feedback from IBM clients and IBM Business Partners. During the years the contest has been in existence, employers of IBM Z talent have come to rely on Master the Mainframe to create a viable pipeline of talent. These clients have discovered that candidates who complete the program become successful because they already have experience with and an affinity toward the platform. At one contest meetup, for example, an employer offered potential internship opportunities to students who successfully completed Part 2. Moreover, many companies see high retention rates among these hires. But connecting successful program participants to the right employers can be challenging. Our new Talent Match service helps to make that connection. At its core, Talent Match is based on IBM’s successful Digital Badges program. Since 2016, IBM has been issuing digital badges for completing different skill levels in Master the Mainframe contests. The use of digital badges is growing rapidly because, in addition to providing information about individual accomplishments, they include verification of skills. A Master the Mainframe badge validates that the individual has earned specific skills through participation in the program. 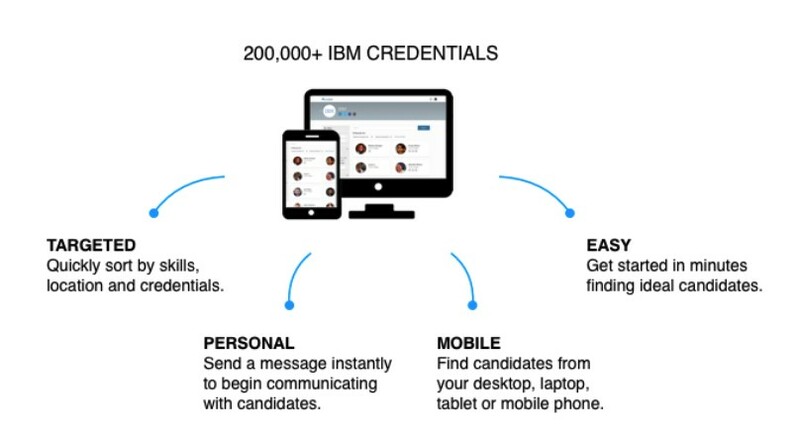 IBM created Talent Match in collaboration with Acclaim, a skills registry for earned digital badges that includes more than 200,000 opt-in members in 195 countries. Anyone who has earned a digital badge can opt in to be searchable within Talent Match, which serves as a tremendous two-way resource for both employers and job applicants alike. Employers seeking to fill positions can quickly and effortlessly narrow search criteria to the specific skills they need. They can see all of the individuals who match their criteria and send selected candidates a blind, private email from within the platform. Job applicants can also identify job opportunities directly from within their digital badges. They can conduct real-time quests for jobs by searching on compensation level, job description, preferred geographic location, specific company and more. They can apply for a job with just the push of a button. Companies rely on mainframes for handling traditional and modern workloads, and IBM Z processes significant numbers of transactions and data worldwide while building trust with pervasive encryption. A rich resource of talented young people is needed for this thriving application of IBM Z technology. Learn more about Master the Mainframe and Talent Match – complementary IBM initiatives that represent the innovative ways we’re helping to build this valuable resource of skill sets in the marketplace. The post Competitive innovation for building mainframe skills appeared first on IBM IT Infrastructure Blog.